Selling your home is a huge undertaking. It takes careful planning and an ability to keep your emotions in check. A seller must also realize they have no control over the condition of the current market and must simply realize that good or bad, they’re in it for the long haul. If you really want to sell, you can’t list to “test the market” or “see if you can get the price you’re looking for”. A seller needs to commit to the actual process of selling, not just listing. Roughly 90% of homes are sold with the help of a real estate agent and rightly so. Unless you have a lot of experience in the real estate market and knowledge of current applicable laws, you’re not going to want to go it alone. Selling your home is a huge financial transaction; it only makes sense to hire a professional. When you sell a car, what do you do? Wash it, vacuum it, and detail it inside and out. You may even make sure it has a fresh oil change and that everything is in working order. The same should go for selling your home. Buyers like move-in ready homes a lot more than they like fixer-uppers. It also pays the prudent home seller to arrange for an inspection prior to listing the home for sale. The home buyer will be sure to have his own inspection done prior to finalizing the deal, so it just makes good sense to find out about any problems early and take care of them up front. The result is a faster sale for more money. They say the most important factor in real estate is location. If that’s true, the second is the price. One of the biggest reasons homes don’t sell is because they are priced incorrectly. If you price your home wrong, and it stays on the market too long without offers, then buyers begin to think there must be something wrong with it. Follow your real estate agent’s advice on pricing. It’s true that it’s not possible for everyone to plan the sale of their home around selling season, but if you can, that’s great. Surprisingly, many sellers wait until the season has passed them by to even begin to clean up their home and think about listing. You want to make sure buyers can easily view your property. This means letting them see it when they want to which often means a key box on the property. Additionally, advertising is a good idea. The Multiple Listing System(MLS) is a good way to go. People view homes on the internet first more than any other way. Let your agent, manage this for you. If you’re selling your home, then in most cases, you’re obviously moving. It should also come as no surprise, that your buyers are going to want to move in as soon as the transaction closes. There are many options for the seller, the easiest of which is already having another home purchased. If this is not a good option for you, there are other possibilities to be explored but this needs to be done prior to beginning the selling process. Your agent can assist the home seller in evaluating these options and can usually represent the seller as a Buyer’s Agent for the purchase or rental of the new property. Insist that your buyer can demonstrate they have the financial ability to buy your home. Once you get an offer in hand, try to understand the buyer’s needs and reasoning. Be realistic. When entering negotiations, try to go in looking for a win/win agreement. A good and experienced agent can help you weed through the offers and how to negotiate. A seller needs to be proactive and understand the process so they can “partner with” their agent rather than sit idly by while their agent “handles” everything. 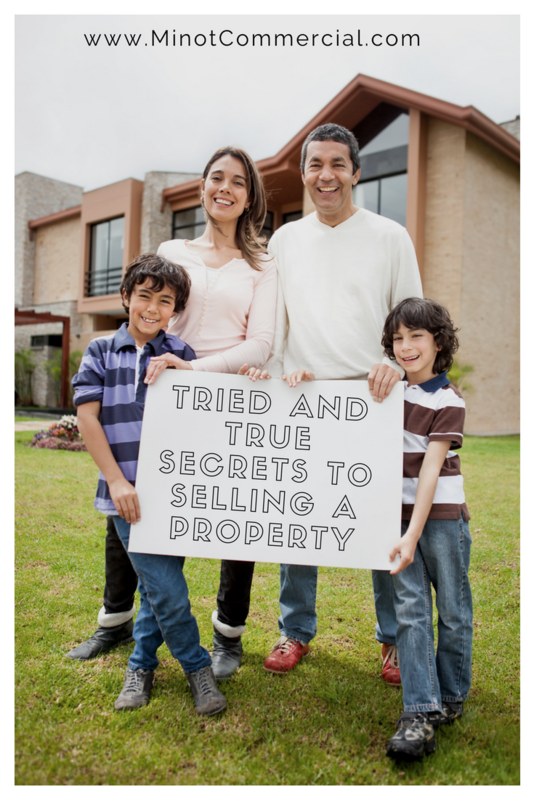 Ask a lot of questions and make informed decisions with the help of your agent. Ready to list? Commercial or Residential? Give us a call today!